Gary North presents a very good explanation of the Bitcoin Bubble from the Austrian Economics point of view on the Money. We decided to present this RT video as well so that you can hear Bitcoin advocates as well. Unfortunately Bitcoin's parabolic rise is the most dangerous event for its future. 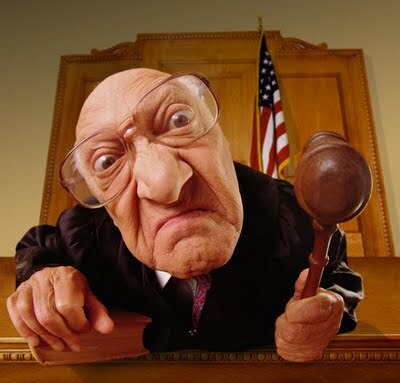 It supposed to challenge the System - at least the FED power in the U.S. How serious is it for the System? It is Everything. All markets are at the mercy of the Fed now. 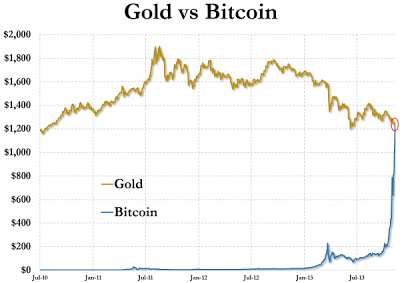 Can we be certain that after 100 Year War Against Gold, FED will find resources to Crash Bitcoin and any idea about viable Currency Alternatives with it? We have a feeling that this recent exorbitant rise in Bitcoin is purely manipulated. One thing if it is the Insiders - holders of largest number of Bitcoin amounts are gaming the rest of the market with OTC Pump and Dump style. They are trading "the restricted" amount of Bitcoin by driving the price up and will start the distribution to the crowd once liquidity will allow it. Quite another thing if the System is already defending itself. With Bitcoin's "market cap" of 13 Billion even after recent parabolic rise to $1200, FED can easily accumulate enough amount of Bitcoin to drive the price up and then Crash it into the ground. We do hope that it is not the case and Bitcoin will be able to stabilise somehow to preserve the brilliant idea, but with every parabolic move up in the price we are getting closer to the crash now. "We have a great conversation about Bitcoin between Peter Schiff and Stefan Molyneux. You can find a lot of additional information on Bitcoin from Stefan's video. Everybody decides for themselves where is the Intrinsic Value and where is the Bubble. We are siding with China here - who is buying record amounts of Gold this year with Thailand, Turkey and other Asian countries." "It is very important video to watch for everybody chasing Bitcoin right now. Bitcoin Foundation general counsel warns: "Everybody who buys Bitcoin right now should expect to lose everything". It does not mean that Bitcoin goes to zero tomorrow, but he is very honest with the presentation of Bitcoin, its potential and its risks. The more we study it - the more we like the idea behind Bitcoin. The problem is not with Bitcoin - as we have wrote before, we consider it as one of the major developments in the financial industry - the problem is with the speculators driving this Bubble. Will Bitcoin survive its astronomic rise and collapse at some point to become the real alternative Currency? What will happen when 100 top holders will start cashing out? 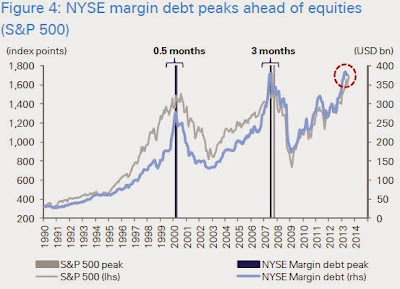 Nobody knows how high speculators can chase the Bubble, but the higher it goes the harder it will get down. For Bitcoin future it will be very important whether it can stabilise now and grow gradually presenting the real Currency alternative, otherwise its crash will expose its weakness - that it was gamed by few as usual - and crowd will chase other 60 crypto-currencies available now. But by that time nobody will be able to call it Gold 2.0 seriously. We will monitor the situation further, but already now the chart below will be the chart of the year for us here and shows the potential for the real FIAT alternatives like Gold and Silver." To explain my position, I must do two things. First, I will describe the economics of every Ponzi scheme. Second, I will explain the Austrian school of economics' theory of the origin of money. My analysis is strictly economic. As far as I know, it is a legal scheme -- and should be. First, someone who no one has ever heard of before announces that he has discovered a way to make money. In the case of Bitcoins, the claim is literal. The creator literally made what he says is money, or will be money. He made this money out of digits. He made it out of nothing. Think "Federal Reserve wanna-be." In that book, Mises argued, as Menger had before him, that money arises out of market transactions. That which did not function as money before, now functions as money. Something that was valuable for its own sake, most likely gold or silver, becomes valuable for another purpose, namely, the facilitation of exchange. People move from barter to a monetary economy. This increases the division of labor. As more and more people use the money commodity in order to facilitate exchanges, the division of labor extends, and as a result, people's productivity increases. They can specialize. This specialization produces increased output per person, and therefore increased income per person. Here is the central fact of money. Money is the product of the market process. It arises out of anunplanned, decentralized process. This takes time. It takes a lot of time. It spreads slowly, as new people discover it as a tool of production, because it increases the size of the market for all goods and services. No one says, "I think I'll invent a new form of money." Money is not accumulated for its own sake. It is accumulated to buy future goods and services. It is useful in the facilitation of exchange precisely because its market value varies little over time. It is the predictability of money's market exchange rate that makes it money. Admittedly, those who got in early on this Ponzi scheme are doing very well. They will probably continue to do well for a time. As more people hear about this investment, which is justified in terms of its future potential as money, more people will buy it. Late-comers are not buying it because they understand its potential as future money, any more than the late investors in Charles Ponzi's scheme thought they were buying into the arbitrage potential of foreign postage stamps. They are buying Bitcoins because we are in the midst of a Ponzi scheme mania. They will continue to buy because they think this time it's different. Here is the Austrian school's theory of money. People buy money because it has not fallen in price. But it has also not gone up in price much, either. It is predictable. Why? Because it is held in reserve by a large number of people over a large geographical area. It has become money through tradition, through experience, and through endless numbers of exchanges on a voluntary basis. It has proven itself in the marketplace as a means of facilitating exchange, and thereby as a means of preserving value over time. This is not the characteristic feature of a Bitcoin. People are not buying it to serve as money; they are buying it because they are in the midst of a mania, and they are gambling that the number of buyers will continue upward forever. When you see an offer of an investment which inherently cannot possibly exist on its own merit, and yet lots of people are coming into the market to buy the item, you know, without any question, that this is a Ponzi scheme. In other words, people are buying into the program, not because of an arbitrage opportunity, and not because of a capital breakthrough in terms of technology, but because somebody else bought it cheaper yesterday. You buy it today, not because you think it is going to offer a stable value, but because you think you're going to make a bundle of money when more people come into the market. Again, this is the classic mark of a Ponzi scheme. In order for Bitcoins to become an alternative currency, there will have to be millions of users of the currency. There will have to be tens of millions of users of the currency. They will have to develop in a market on their merit as money, not as an investment of dollars in order to get more dollars back. It would have to develop through exchange, not bought as an investment. In other words, the free market will have to adopt Bitcoins as a means of increasing the division of labor. Bitcoins are not increasing the division of labor. They are bought on the basis that somebody can get into a game of musical chairs. Instead of running out of chairs, leaving one person the great winter, the promoters started with a given number of chairs, and then they hoped that lots would come and bid on the chairs. "If we issue it, they will come." This took place. The promoters creators are now very rich, as measured in dollars. The fact of the matter is this: Bitcoins will not increase the division of labor by serving as an alternative currency. Inherently, Bitcoins have made their mark, not on the basis of their stable value in exchange, that is, their value in increasing the division of labor in alternative markets that do not use the dollar. On the contrary, Bitcoins are being purchased for one reason only: to get in on the deal. Buy low; sell high. Buy with what? Dollars. Sell for what? Dollars. The mania has destroyed Bitcoins' use as money. Bitcoins are too volatile in price ever to serve as a currency. Which is money: dollars or Bitcoins? The answer is obvious: dollars. This will lead to the ruination of more people than any private Ponzi scheme in history. There will be the poor schnooks to get in at the end, paying perhaps thousands of dollars per Bitcoin. Then the market will unravel. It will unravel for the same reason that all Ponzi schemes have unraveled: not enough new buyers. When the new buyers do not show up in great numbers, the holders will start to dump them. What went up in price, as measured in dollars, the real money, will come down in price. This mania is going to be the stuff of best-selling books. This is going to be this stuff of Ph.D. dissertations in economics and psychology. This is going to be the equivalent of Mackay's book, Extraordinary Popular Delusions and the Madness of Crowds. The interesting thing is the mania started among the most technologically sophisticated people on earth: computer techies. The techies who got in early are going to be fabulously wealthy . . . if they sell. But the poor schnooks who come in at the and are going to lose money. Collectively, this will be the greatest single scheme for lots of people losing money that we have ever seen. This Ponzi scheme is not illegal . . . yet. It will spread. It has gone viral. Any time you buy an investment, you had better have an exit strategy. There is no exit strategy for Bitcoins. You must get out at the top, or you lose your shirt. Anytime that anybody tries to sell you an investment, you have to look at it on this basis: "What are the future benefits that this investment will give final consumers?" In other words, how does it serve the final consumer? If it does not serve the final consumer, then it is a Ponzi scheme. Bitcoins cannot serve the consumer. There is nothing to consume. The only way that Bitcoins can work to the advantage of the consumer is that they provides the consumer with increased opportunities, based on Bitcoins' function as money. But the fundamental characteristic of money is its relatively stable purchasing power. Whenever somebody tries to sell you an investment that is based on the economic analysis of a market -- an analysis that cannot possibly be true -- do not buy the investment. This is a simple rule. I adhere to this rule. There has to be an economic justification for a capital investment, and there is no economic justification of buying Bitcoins as an alternative currency. That was how Bitcoins were initially sold, and it was impossible as an economic concept from the beginning. The Austrian theory of money shows why. I do not invest in capital that has no economic justification other than the greater fool theory. There are too few fools to keep the scheme going. Bitcoins are not illegal. They should not be made illegal. They should merely be avoided." It is very important video to watch for everybody chasing Bitcoin right now. Bitcoin Foundation general counsel warns: "Everybody who buys Bitcoin right now should expect to lose everything". It does not mean that Bitcoin goes to zero tomorrow, but he is very honest with the presentation of Bitcoin, its potential and its risks. We will monitor the situation further, but already now the chart below will be the chart of the year for us here and shows the potential for the real FIAT alternatives like Gold and Silver. "We have another view on the recent stage of development of the financial system and Bitcoin and Gold place in it. The more we study Bitcoin phenomena - the more we are very positively surprised how many people understand the deeply fraudulent fractional reserve banking system based on FIAT. Bitcoin is disrupting the System from within, challenging proposed Capital Controls and show appetite for FIAT alternatives. Now it is in a bubble stage - in our opinion - and whether it will survive its rise and crash remains to be seen. But it will definitely pave the way for the new monetary systems to be implemented in the future." "We are searching answers whether Bitcoin is Gold 2.0 or just Dotcom Bubble 2.0 all over again. You know our take already, now Economist weights in with its opinion. And do not forget, please, if you were not the one left holding the bag after the Dotcom Crash, we are all benefiting from Internet revolution now. Just Do Not hold the bag this time. Idea of Goldcoin crypro-currency based on Gold held in Vaults in Singapore, Hong Kong, Switzerland and clearing House in London can be Very elegant solution to the US Dollar hangover after QE abuse." Gary Tanashian provides very good technical big picture overview of the S&P 500 and Gold stocks. 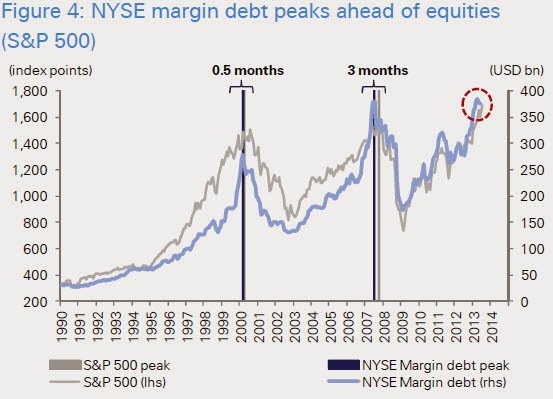 With NYSE margin debt making another peak ahead of equities his observations could be very close to materialising in the market place. There are NO Bears left in S&P 500 and NO Bulls left in the Gold Stocks. Nothing is growing straight up to the sky, it never does. "So far China is using all these games with Gold price suppression to accumulate Gold and this year we see the record buying. Announcement of its Gold reserves can bring the very sobering reality to the financial markets. China will not accept Bitcoin for its Treasury redemption and it is not going to increase its reserve holding any more. US Dollar is losing its Reserve Currency of choice status and all recent "flyover games" just confirm U.S. financial vulnerability in line with Sirya and Iran developments." "We have more positive news coming from Argentina. Business climate is changing to the more positive investment outlook after the recent elections in the country. 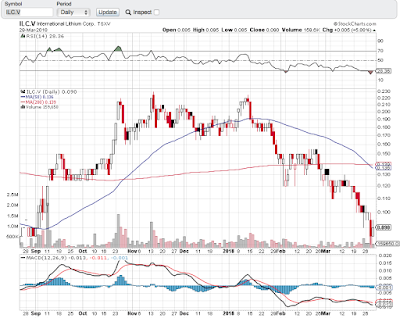 It should be translated in higher valuations of Los Azules Copper project for McEwen Mining and TNR Gold now." It’s a bail out of the type of people who put the financialized economy at risk in the first place and a bail inof those that cannot afford to take risks and gamble as the Fed seems to so desperately want the masses to do. 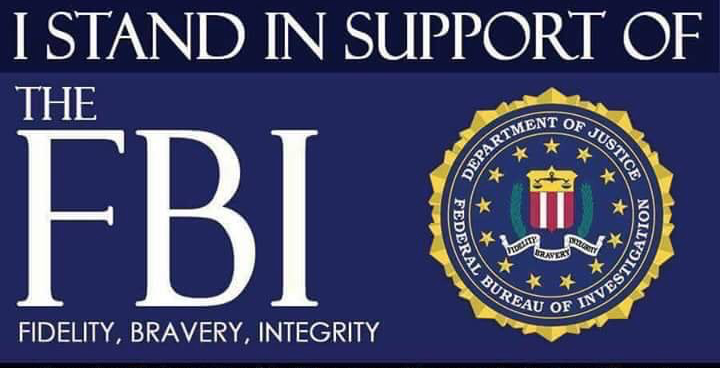 How are they bailed in you ask? By continuing to follow the prudent conventions of the last century into a new era of ‘Inflation onDemand’ ©, which was instigated by the Greenspan Fed and has been carried to new extremes under the Bernanke Fed after Greenspan’s mess unwound in 2007-2008. For now I am personally both long and short certain US stocks but managing the arduous process of a coming pivot, where the idea will be to lock and load positions and then sit into the next cycle. NFTRHwill be managing this process every step of the way as it has done since inception in September of 2008. If you are so inclined, check out this service that never predicts, but always keeps the analysis in alignment with macro themes. We have another view on the recent stage of development of the financial system and Bitcoin and Gold place in it. The more we study Bitcoin phenomena - the more we are very positively surprised how many people understand the deeply fraudulent fractional reserve banking system based on FIAT. Bitcoin is disrupting the System from within, challenging proposed Capital Controls and show appetite for FIAT alternatives. Now it is in a bubble stage - in our opinion - and whether it will survive its rise and crash remains to be seen. But it will definitely pave the way for the new monetary systems to be implemented in the future. Here we go with the Catalyst for Gold and Silver prices on the backdrop of Japan/U.S. and China Air Cold War style escalation, India is slashing Gold and Silver tariffs unable to fight the smuggling in the country. We have the second part of the interview with Dmitri Speck revealing the ongoing Government interventions in the Gold market. This view from Europe on the Gold Cartel and Government Interventions in Gold market is particularly important now with the announced investigations in the Gold Market manipulation by German and UK financial regulators. "We have another view - from Europe this time - on the ongoing Gold manipulation, its mechanics and the motivations behind it. UK financial authorities have launched the investigations in the Gold market manipulations now. We do not hold our breath here, but hope that they will get at least this information for consideration. Manipulation is conducted on everyday basis with the aim to drive the Gold fixing price in London down and get access to physical Gold, which could be sold at a premium at the next trading day in Asia. "This arbitrage" was a normal source of profit for LBMA banks, but now starting from April of this year we have the additional waterfall smashing of Gold in order to manipulate the QE inflation expectations in the market." "We are witnessing the watershed events in the financial markets these days. Bitcoin has reached the parity with Gold today crossing $1242 before crashing to $1000, now it is back to $1178. We will repeat: congratulations to everybody who bought it cheaper and is able to sell now. Bitcoin exorbitant rise show the future for the real alternative to FIAT currencies. 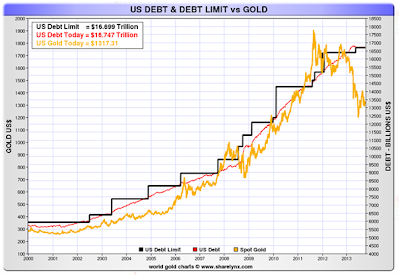 Its spectacular fall will drive attention to the real value: Gold and Silver. With new revelations from Kissinger about the Gold Suppression, rise of Bitcoin demonstrates the unleashed potential for Gold and Silver free of manipulation." We are searching answers whether Bitcoin is Gold 2.0 or just Dotcom Bubble 2.0 all over again. You know our take already, now Economist weights in with its opinion. And do not forget, please, if you were not the one left holding the bag after the Dotcom Crash, we are all benefiting from Internet revolution now. Just Do Not hold the bag this time. Idea of Goldcoin crypro-currency based on Gold held in Vaults in Singapore, Hong Kong, Switzerland and clearing House in London can be Very elegant solution to the US Dollar hangover after QE abuse. "We are witnessing the watershed events in the financial markets these days. Bitcoin has reached the parity with Gold today crossing $1242 before crashing to $1000, now it is back to $1178. We will repeat: congratulations to everybody who bought it cheaper and is able to sell now. Bitcoin exorbitant rise show the future for the real alternative to FIAT currencies. Its spectacular fall will drive attention to the real value: Gold and Silver. With new revelations from Kissinger about the Gold Suppression, rise of Bitcoin demonstrates the unleashed potential for Gold and Silver free of manipulation. All crypto-currencies are on fire these days with Litecoin crossing $50 and we can see here the danger to this very remarkable idea. Will Bitcoin sustain its rise to $2000 and fall to $50? It is not currency at the moment, but asset Bubble chased by the crowd attracted by "unbelievable returns on investment." System is taking notice and will make all possible moves to discredit Bitcoin. Bitcoin's success will the major problem to overcome here. Now it looks like classic OTC market Pump and Dump: few insiders are controlling the flow, price is pushed up in deals between insiders and crowd is attracted at more and more higher prices with rising volume and distribution by insiders. Expect the "active management of Bitcoin" now: rumours about the NSA cracking the encryption, hackers stealing BTCs and compromised Exchanges. The price going to the sky will trigger insiders selling itself and then it will the question how Bitcoin can withstand it. In the modern age of Currency Wars and announced Financial War stage with China threatening the US Dollar Reserve Currency of choice status, we will ask very important question: Who is really behind Bitcoin? Even if it is not introduced by countries like China and Russia now - they are taking notice. People are getting out of dollars and other FIAT currencies and even Gold and Silver prices are affected by the BTC rise. The only thing BTC lacks in order to become the real Money is stability and "accepted system guarantees". Now lets imaging that somebody will introduce crypto-currency, but backed by Gold and going into the mainstream. This will be the real game changer and who knows maybe somebody is testing the grounds already. Next year China is going to announce its official Gold reserves and these number will be very interesting with ongoing record amount Gold accumulation this year and record high leverage in the Western Fractional Reserve System with 69 owners per one ounce of Gold at COMEX." Bitcoin began in 2008, at the height of the financial crisis, with a paper published under the pseudonym Satoshi Nakamoto. The technical design outlined in the paper was implemented in open-source software the following year. It came to widespread prominence in 2012 and has been in the headlines ever since. Investors are backing Bitcoin-related startups, the German finance ministry has recognised it as a “unit of account” and senior officials told an American Senate committee on November 18th that virtual currencies had legitimate uses. But there have also been many cases of Bitcoin theft. Exchanges that convert Bitcoin to other currencies have collapsed or closed. Silk Road, an online forum where illicit goods and services are traded for Bitcoin, was shut down by America’s Federal Bureau of Investigation in October but has since reopened. The Bitcoin price has fluctuated wildly, hitting $230 in April 2013, falling below $70 in July, and then exceeding $600 in November, prompting talk of a bubble. The system is now straining at the seams. Its computational underpinnings have collectively reached 100 times the performance of the world’s top 500 supercomputers combined: more than 50,000 petaflops. Bitcoin’s success has revealed three weaknesses in particular. It is not as secure and anonymous as it seems; the “mining” system that both increases the Bitcoin supply and ensures the integrity of the currency has led to an unsustainable computational arms-race; and the distributed-ledger system is becoming unwieldy. 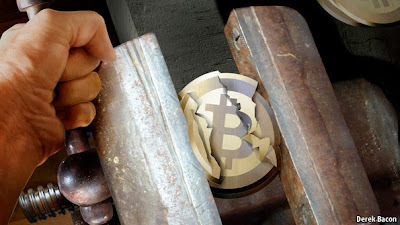 Will Bitcoin’s self-correcting mechanisms, and the enlightened self-interest of its users, be able to address these weaknesses and keep Bitcoin on the rails? Public keys are ostensibly anonymous, because they are created randomly by software under the control of each user, without central co-ordination. But it turns out that the flow of money from specific addresses can be tracked quite easily. In a paper presented in October, academics from the University of California, San Diego, and George Mason University engaged in a series of ordinary transactions to collect commonly used addresses for Bitcoin wallet services, gambling sites, currency exchanges and other parties. The researchers exploited a current weakness in most Bitcoin personal and server software, which generates single-use addresses to store change from transactions. This allowed them to follow the movement of Bitcoins across hundreds of transactions from large sums accumulated at single addresses, including ones suspected of being controlled by Silk Road and stolen funds from exchanges. One of the authors, Sarah Meiklejohn, says that the same technique could easily be used to provide the basis of warrants to serve against exchanges or other parties. Law-enforcement agencies would regard this as a good thing, but to advocates of a completely secure and anonymous online currency, it represents a worrying flaw. Ms Meiklejohn says most current implementations of the Bitcoin protocol fall short of the level of anonymity that is theoretically possible, and that her group’s efforts represent just the tip of the iceberg of what could be deduced from analysis of the public block chain. The Bitcoin system is designed to cope with the fact that improvements in computer hardware make it cheaper and faster to perform the mathematical operations, known as hashes, involved in mining. Every 2,016 blocks, or roughly every two weeks, the system calculates how long it would take for blocks to be created at precisely 10-minute intervals, and resets a difficulty factor in the calculation accordingly. As equipment gets faster, in short, mining gets harder. But faster equipment is constantly coming online, reducing the potential rewards for other miners unless they, too, buy more kit. 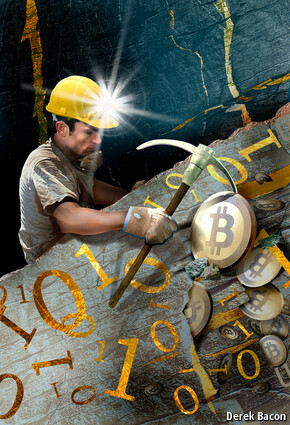 Miners have formed groups that pool processing power and parcel out the ensuing rewards. Once done with ordinary computers, mining shifted to graphics-processing units, which can perform some calculations more efficiently. Miners then moved on to flexible chips that can be configured for particular tasks, called field-programmable gate arrays. In the past year, bespoke chips called ASICs (application-specific integrated circuits) have appeared on the scene. Your correspondent visited a miner who operates a rack of mining hardware in his modest apartment. He had purchased his ASIC-based hardware a few months earlier, and it had arrived weeks late, causing him to miss out on a bonanza, because after arrival, the kit generated Bitcoins so quickly that it paid for itself within three days. But the edge that ASICs provide is quickly eroding. Between July, when the gear arrived, and mid-November, the computational capacity of the Bitcoin network increased 25-fold, from 200 trillion to 5 quadrillion hashes per second. This was due in part to the arrival in September of a newer generation of more efficient ASICs. Hashing capacity has increased so rapidly in 2013 that the practice of hijacking thousands of PCs and using them for mining is no longer worth the effort. The average time between blocks has fallen to between five and eight minutes. The general consensus, says Mike Hearn, one of the volunteers who maintain the Bitcoin software, is that with this new generation of ASICs, mining will have approached a point where only those with access to free or cheap electricity will continue operations, and even they will produce a relatively marginal return on investment, rather than the huge multiples (when exchanged into traditional currency) possible even earlier this year. Mining has become increasingly commercial and professional, he says. Server farms with endless racks of ASIC cards have already sprung up. But as part of Bitcoin’s design, the reward for mining a block halves every 210,000 blocks, or roughly every four years. Sometime in 2017, at the current rate, it will drop to 12.5 Bitcoins. If the returns from mining decline, who will verify the integrity of the block chain? The original paper that sparked the creation of Bitcoin has since been supplemented by layers of agreed-upon protocol, updated regularly by the system’s participants. The protocol, like the currency, is a fiction they accept as real, because rejection by a large proportion of users—be they banks, exchanges, speculators or miners—could cause the whole system to collapse. Mr Hearn notes that he and other programmers who work on Bitcoin’s software have no special authority in the system. Instead, proposals are floated, implemented in software, and must then be taken up by 80% of nodes before becoming permanent—at which point blocks from other nodes are rejected. “The rules of the system are not set in stone,” he says. The adoption of improvements is up to the community. Bitcoin is thus both flexible and fragile. So far, it has kept going. But can it withstand the pressure as it becomes more popular? “It’s got this kind of watch-like feel to it,” says Mr Hearn. It keeps on ticking, but “a mechanical watch is fragile and can be smashed.” Perhaps Bitcoin, like the internet, will smoothly evolve from a quirky experiment to a trusted utility. But it could also go the way of Napster, the trailblazing music-sharing system that pioneered a new category, but was superseded by superior implementations that overcame its technical and commercial flaws."